Poetry and figures don't seem to get along too well, but they do on my record sheet. I have a file where I track my yearly submissions, as well as my acceptances and rejections. 2016 has been a slow year for me. Life and work have somehow hijacked my creativity, but I am particularly pleased with the few poems I have written, which are mostly prose poems. This said, of the 85 poems that I have submitted, 15 have been accepted for publication. And, two of these poems will be included in 2 American anthologies. I am also very pleased with my first all-Italian collection, A rima armata. 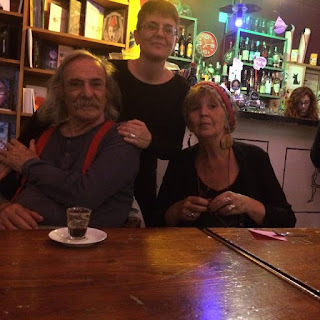 It was indeed a pleasure to present it here in Rome together with Jack Hirschman and Agneta Falk Hirschman last June. I still have to hear back from 2 literary journals about my 2016 submissions, but for the most part I am looking forward to 2017. I toast to more poetry and more words! Paterson. A Movie About the Poetry of Small Things. 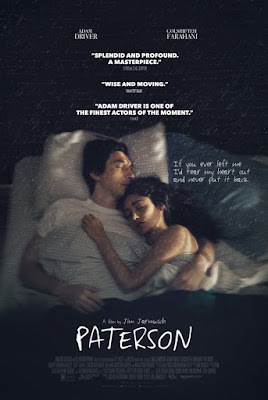 I was curious about Jim Jarmusch's recently released movie, Paterson. In the first place as it deals with a poet and poetry, and secondly because I truly loved his Only Lovers Left Alive, starring Tilda Swinton and Tom Hiddleston. Jarmusch's mood permeate his movies in a unique way. The atmosphere is always the real thing even in his Paterson. The movie deals with an apparently simple story, the life of a bus driver, whose name is Paterson just like the small NJ town where he lives. 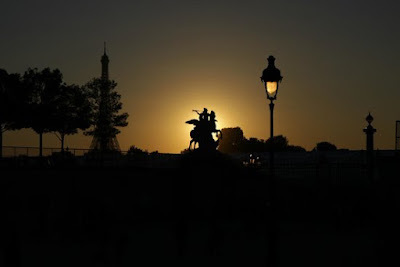 We follow him as he wakes up every week day, goes to work carrying his lunch box and a notepad in his jacket, where he pens his poems before starting his daily rides or, after dinner, as he walks his dog to the pub to drink his daily beer. Life is simple, filled with the poetry of small things such as a box of matches that inspires him to write a love poem. Solstice's Day. Winter is finally tapping at the door. The days are chillier, the air quite crisp. I bought a new notepad to celebrate the season and to remind myself I need to write more. 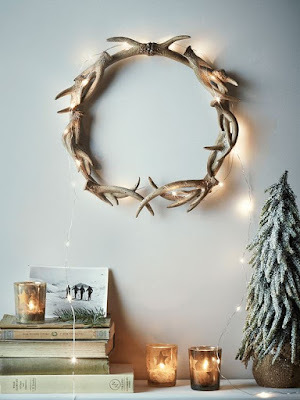 Maybe the Yule's stag, the wild spirit of power and inspiration, will visit me. He is a gift giver and I secretly hope he will provide me with some of his lunar illumination. Colored scarves, hot cocoa and words. This is how I plan to celebrate the new season. Bring it on! Prose Poetry. Writing about a 70s Girl. This has been an interesting year for my writing. I haven't written many poems in terms of quantity, but I am totally pleased with the few pieces I have produced. Conciseness and a dry style seem to be the key of my latest work. 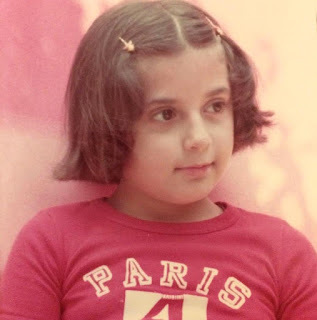 I am also very happy of realizing that I can write quality prose poems (one I am very fond of has been accepted by Editor Susan Yount, to be published in a forthcoming issue of Arsenic Lobster) and that they work so well to channel my childhood memories. I am a 70s girl. Proudly borne on the barricades. The Years of Lead have shaped me. So glad I get a chance to talk about that period through my writing.